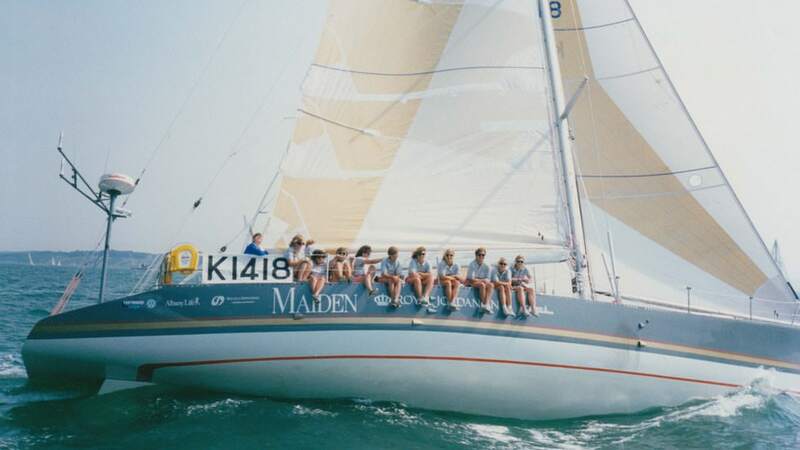 Maiden is the inspirational story of how Tracy Edwards, a 24-year-old cook on charter boats, became the skipper of the first ever all-female crew to enter the Whitbread Round the World Race in 1989. Tracy’s dream was opposed on all sides: her male competitors thought an all-women crew would never make it, the chauvinistic yachting press took bets on her failure, and potential sponsors rejected her, fearing they would die at sea and generate bad publicity. But Tracy refused to give up: she re-mortgaged her home and bought a second-hand boat, putting everything on the line to ensure the team made it to the start line. With the support of her remarkable crew she went on to shock the sport and prove that women are the equal of men. This rousing real-life feminist adventure tale features wonderfully candid interviews from Tracy Edwards and crew members looking back on their excellent adventure interspersed with powerful first-hand footage shot by those on the crew.